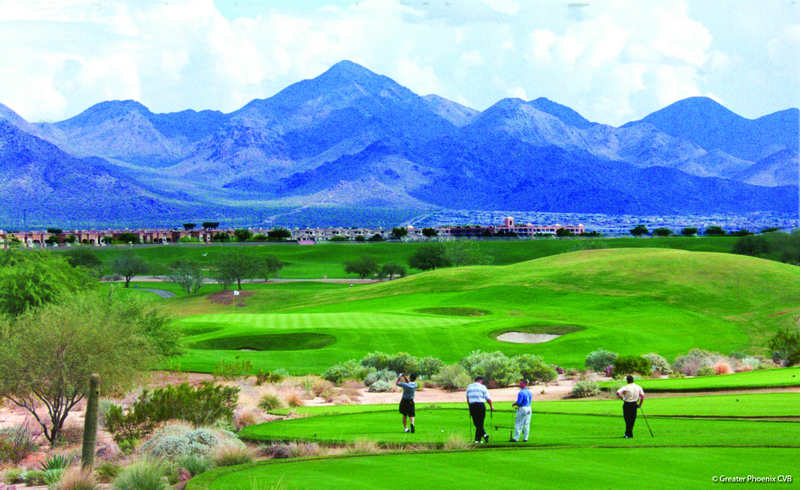 TPC Scottsdale – Home of the Waste Management Phoenix Open in February. Courtesy of the Greater Phoenix Convention and Visitors Bureau. I dislike winters that begin in October. It happens when you live in Edmonton, Canada’s most northern metropolis. But this time, this year, my tolerance for shoveling in cold weather after a snow storm plunged to sub-zero. It must be another sign of age, I thought as I gathered information to write a winter getaway story (see link below) on Greater Phoenix. We were already six weeks into winter when I got this newspaper assignment. It was mid-December, technically still fall. Newscasters and forecasters who remind us during the snow storms that winter is not officially here until December 21 are doing us a disservice. I considered buying another winter coat just to make it through to June, our unofficial spring. As I read about the 320+ days of sunshine a year in Phoenix, I realized the mood enhancing effect of sunlight in Canada’s sunniest province was a tad overrated. Yes, I love it when it shines across my desk or warms me in my favourite reading chair. But how can the sun cheer me up when I’m out there scraping snow into piles in the dark each day after work? Sure, Phoenix has its spell of freezing weather in January, and locals get a chance to don fashionable scarves, mitts and boots. But hey, their winter roads are dry and crack-free, the cars are showroom clean, and there aren’t fifty shades of grey precip to trudge through, slide on or otherwise soil the car floor and front door mats. I grew up believing Alberta had four seasons, but having lived nearly two decades in two of Canada’s most southerly cities, I can honestly say I must have been in denial or did not pass remedial math that one summer. There are really only two seasons in a year, the indoor season and the outdoor season. The outdoor season is the only one that really matters. Edmontonians know this, which is why we have to cram our four months of golf, garden and patio weather into the two rain- and frost-free months. Then we cosy up to the fireplace for the next eight. Phoenix also has two seasons, and if my math is correct, they spend at least eight months in the great outdoors — biking, hiking, golfing, playing tennis, barbecuing by the pool, sipping coffee on the patio and chatting with neighbors. That leaves them a mere four months chained to chilly air conditioners. The Valley of the Sun is a winter wonderland for winter-weary Canadians. Sweater weather. Pool and patio parties. Shorts and sandals. Endless ways to get off the treadmill and start living out of doors. Did I mention golf? I know where I’ll be next January. Read why. Enjoyed your article. I qualify as a winter weary Albertan. Thanks for reading… and confirming the sentiment!